OPB Aug. 7, 2018 9:32 a.m. | Updated: Aug. 7, 2018 1:02 p.m.
NPR Music will expand its unique presence at the convergence of music discovery and industry conversations with a series of Tiny Desk Talks this fall in select cities around the country—including Portland on October 3. The can’t-miss, curated conversations will feature celebrated voices in the music and public radio space and cover topics like the technical side of recording performances, soundtracking for film and television, getting music on the radio and the art of songwriting. These events will be communal deep dives that bring together local musicians, experts, music lovers, public radio supporters, and industry personalities together to talk about their shared interest and expertise of a specific facet of modern day music-making. 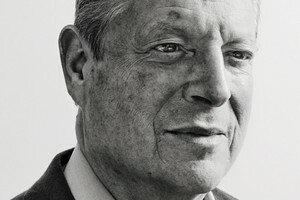 See ticket listings at nprpresents.org. Like NPR Music’s star-finding Tiny Desk Contest and its national On The Road Tour, exclusive support of the upcoming Tiny Desk Talks is fueled by Lagunitas Brewing Company. With the addition of the Tiny Desk Talks, NPR Music’s Tiny Desk franchise amplifies and celebrates the public in public radio. NPR Music is collaborating with network Member stations including WBUR and WGBH in Boston, KCRW in Los Angeles, OPB in Portland, and WMOT and WPLN in Nashville. 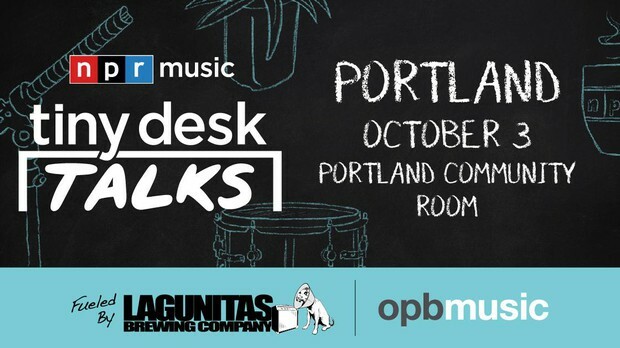 opbmusic, in conjunction with NPR Music, is hosting a Tiny Desk Talk in Portland on October 3 at the Lagunitas Community Room. The event, “Please Hear My Music: How to Get on the Radio” will feature a panel discussion with Bob Boilen, host of NPR’s All Songs Considered, Maggie Vail, executive director of Cash Music and Jerad Walker, music director for opbmusic. Moderated by opbmusic Program Director Dave Christensen, the conversation will center around how to get noticed as a musician, especially by the public radio community. Tickets to the event can be purchased at opb.org/tinydesktalk beginning Wednesday, August 8. For more than a decade, NPR Music’s robust music journalism and award-winning original video programming has delighted millions of music fans from all genres. NPR Music collaborates with NPR’s newsmagazines, public radio Member stations and the passionate listener community to celebrate exceptional music and discover emerging artists. Visit NPRMusic.org to find the complete Tiny Desk concert series, live music, extensive archives of performances, interviews and music reviews. Connect with NPR Music on Facebook, Twitter and Instagram. About opbmusic Available on HD radio and online, opbmusic features new and Northwest music drawn from alternative and indie rock, new folk artists, hip hip, and other genres. Listeners can stream the music 24/7 with an HD radio and via mobile app, or at opbmusic.org, where there is also a deep archive of hundreds of studio and soundcheck sessions and concert recordings. The sessions capture early moments of up-and-coming local bands, sets from the region’s most established artists, and national touring acts. More information is available at opbmusic.org. About Lagunitas Brewing Company Lagunitas Brewing Company began on a kitchen stove in Northern California in 1993. From actually getting beers into bottles and onto the streets, Lagunitas looks to the future… expanding the Petaluma Brewery, to building a second in Chicago and soon a third in Azusa, CA, adding a TapRoom & Beer Sanctuary in Seattle, and bringing its flagship IPA across the pond, Lagunitas could probably make good beer on the Moon. Wherever you go, beer speaks, people mumble. 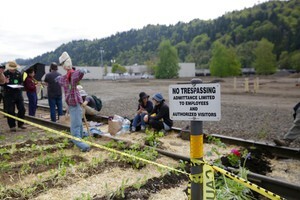 More mumblings at lagunitas.com.